You’re very weclome. – Grammargeddon! Last week (on September 9), the Houston Texans and the San Diego Chargers fought it out on Monday Night Football. The Texans were down for much of the game until they rallied to score a whole bunch of points* for a late comeback victory. 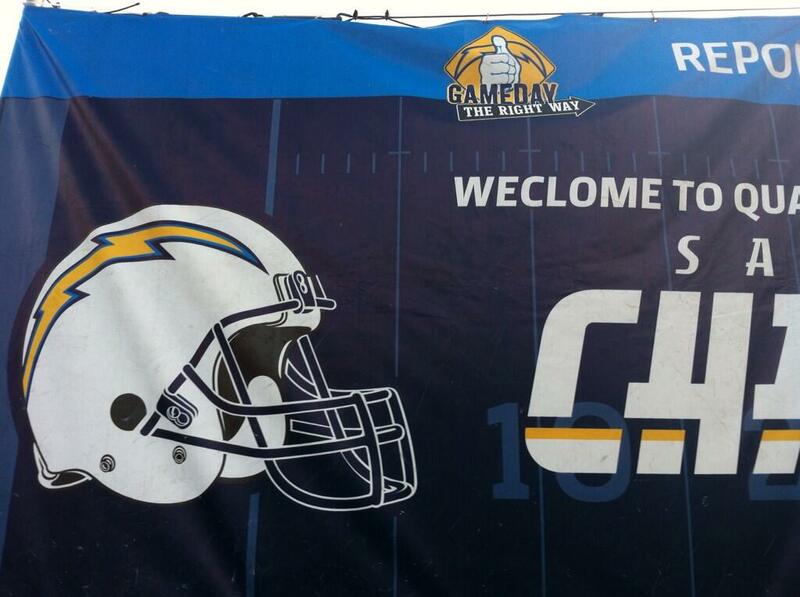 I’d like to think they were inspired by the sign that hung in Qualcomm Stadium, welcoming them to San Diego. If you’re going to make a mistake, make it a really big one that gets shown on TV and spread around the web, I always say. * Yes, this is the technical term for it. Shut up. Why would anyone want to buy THIS?